She's an entrepreneur who's mission is to empower women everywhere. Our second Woman of the Month for January is Onyx Frederick, the creator of HELLO Woman, an organization that focuses on women empowerment. Read on to learn more about Onyx, her organization and more! ADOM: Tell me a little bit about Onyx. Onyx Frederick: I am a 22-year-old wife, mother of a 3 month old, entrepreneur and lover of life. I was born in Portsmouth VA and have been on the move by military demand since birth. I have lived in Puerto Rico, Florida and Japan. At the age of 16 I graduated high school a year early from Nile C. Kinnick High School in Japan. Upon graduation I attended Florida A&M University and graduated with a B.S. in Fine Arts with a Minor in Business. I met my husband during my sophomore and through prayer, patience, and love we were engaged two years later and married July 23, 2015. I am a woman of God who prides myself on love, business and empowerment. For me, I will be successful once I have made a difference and accomplished all of my dreams. OF: As of right now my plans are to open my own clothing boutique in a store front and create a place for women to go shopping where they not only find items to enhance their exterior, but leave with a joy and confident filled interior. Along with my clothing store I am hoping to have a worldwide women's empowerment organization that Honors, Empowers, Leads and Loves on other women entitled HELLO Woman. I have a strong passion for women and empowerment with a focus on sisterhood and having the opportunity to spread this with women everywhere is a lifelong dream. I also hope to become a known requested motivational speaker for women's and business events everywhere. ADOM: Who or what has motivated you to reach your goals? OF: I would have to say my strongest motivation for reaching my goals is the woman that is hurting and waiting on someone to show her how special she is and how much this world needs her. The queen that is waiting to take her thrown and that is just waiting for someone to reach her. 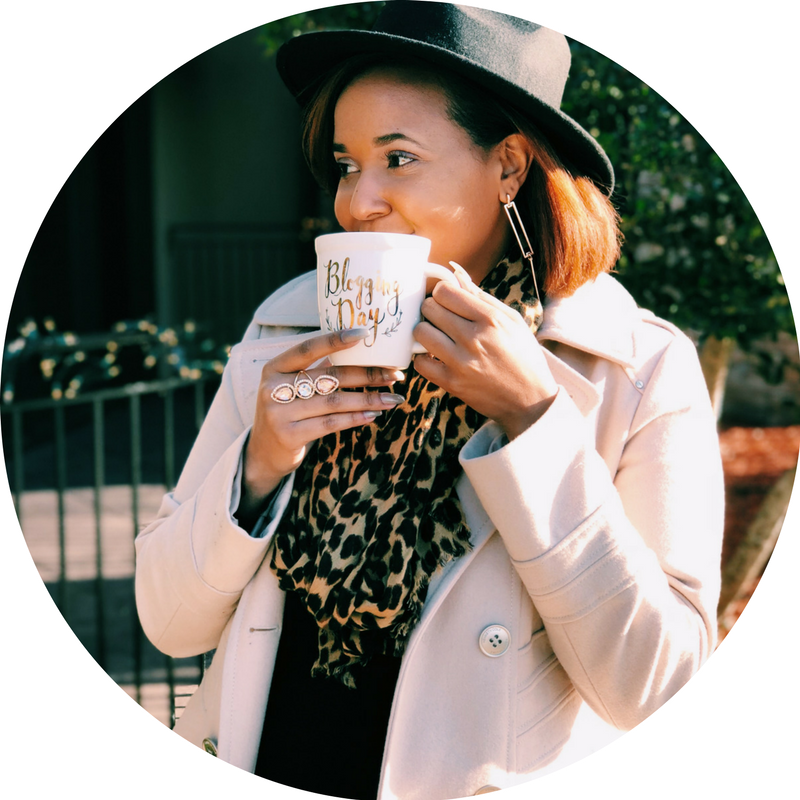 OF: I use my platform to empower by just openly telling my story and what I have learned. Often times we as women go through so many things that our sisters are on the brink of approaching and we know how to avoid and or defeat it but we are too busy trying to keep people out of our business that we allow our sisters to hurt as we did if not worse. So I make sure to share my story and uplift the woman even if she thinks she doesn't need it when the time comes she will remember the words that were said. I plant the seed and let God and time water and grow it. OF: When I think about this question, the mission of my organization comes to my mind; my legacy would be to have successfully "change the way the world sees women by changing the way we see each other" and to not be afraid to go after what you want. OF: For anyone interested in the same path as me I would tell them to go for it. Get a notebook and carry it with you like your cell phone and write everything down. Know why you want to do it no matter what whether it’s a business, an organization, love or family. For all of them having a “why” is important because it will get hard, you will be tested, tired, and sometimes even discouraged, but having that “why” will keep you grounded and give you just the right amount of faith and strength to carry it out. You have to be your biggest cheerleader and find one other person that believes in you more than you do and do it. Don't wait for the time to be right because it never will be. Also find a good mentor. To keep up with Onyx, follow her on Instagram (@_thehellowoman_ , @hellowomanorg, @seventwelveboutique) and Facebook (Seven Twelve Boutique and Hello Woman Organization).